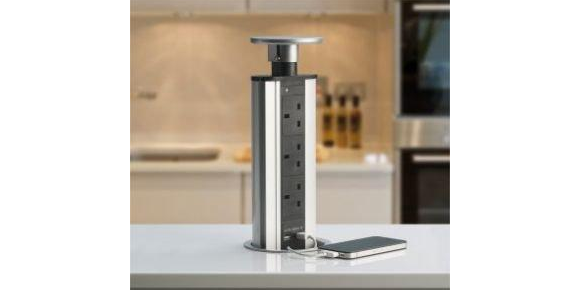 Seamless Ltd also providers of PowerPort pop ups. 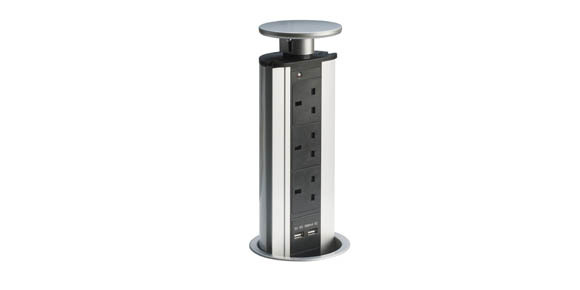 PowerPorts come with 3 sockets and 2 USB portals and their height is adjustable dependent upon sockets usage. 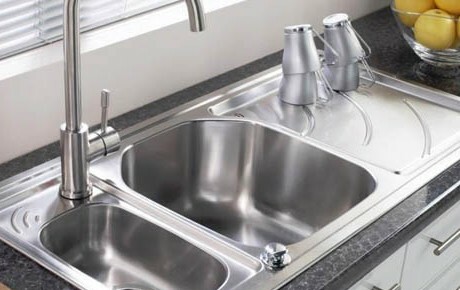 Moreover they can be flushed within the surface when they are not in use. 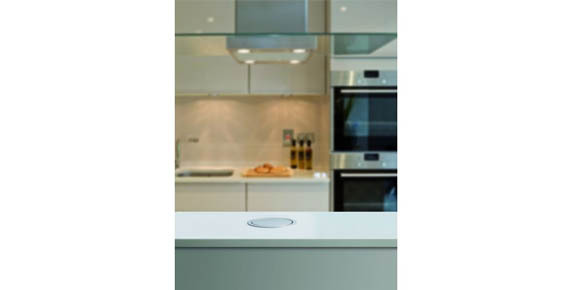 PowerPorts are suitable for kitchen surfaces (most commonly on islands) and for office use.